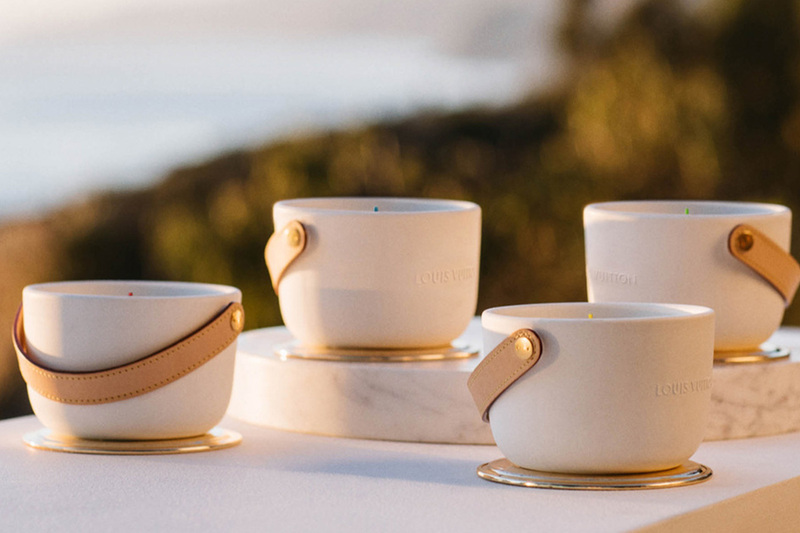 In the heart of the world’s perfume capital, a town called Grasse on the French Riviera, scented candles in delicate handcrafted ceramics are created by French artisans for Louis Vuitton. The French fashion house recently launched Perfumes for the Home, which is quite possibly the most sophisticated candle collection to have ever hit the market. 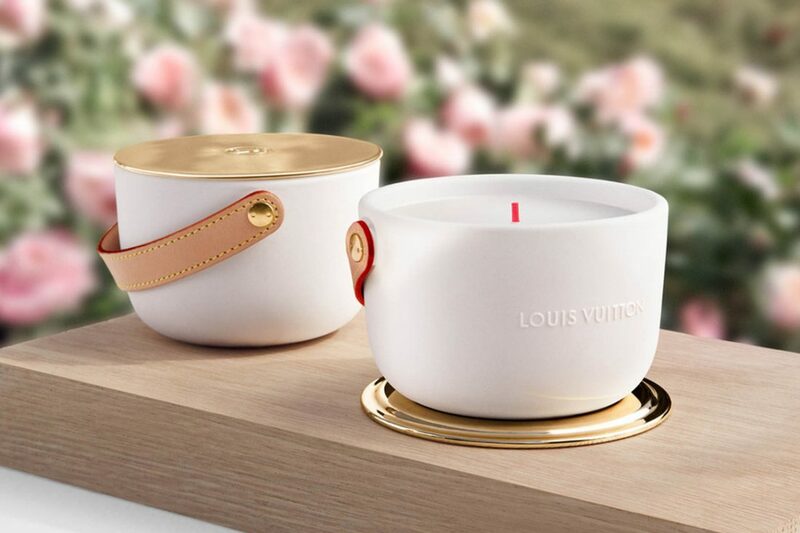 Resembling a quaint Louis Vuitton bag, the snow-white ceramic containers housing fragrant wax come with a sleek gold lid and tan leather handle. 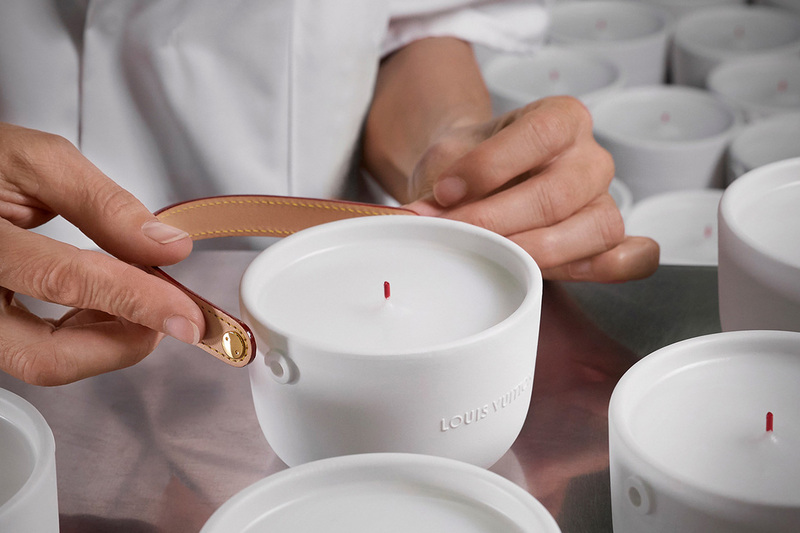 Several meticulous procedures go into the making of Louis Vuitton candles before they perfume your living room. 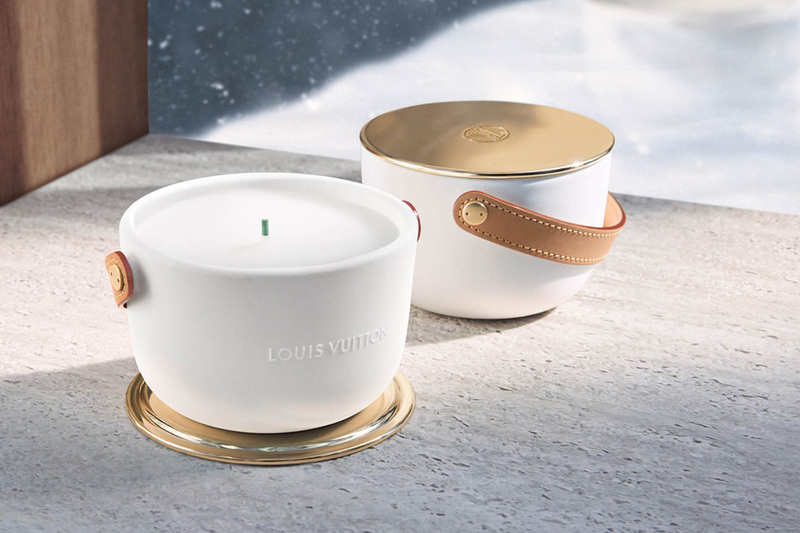 Louis Vuitton’s candle collection takes you on an olfactory journey through a rose garden in bloom, a patchouli forest, a spiced winter wonderland and an indigo archipelago. 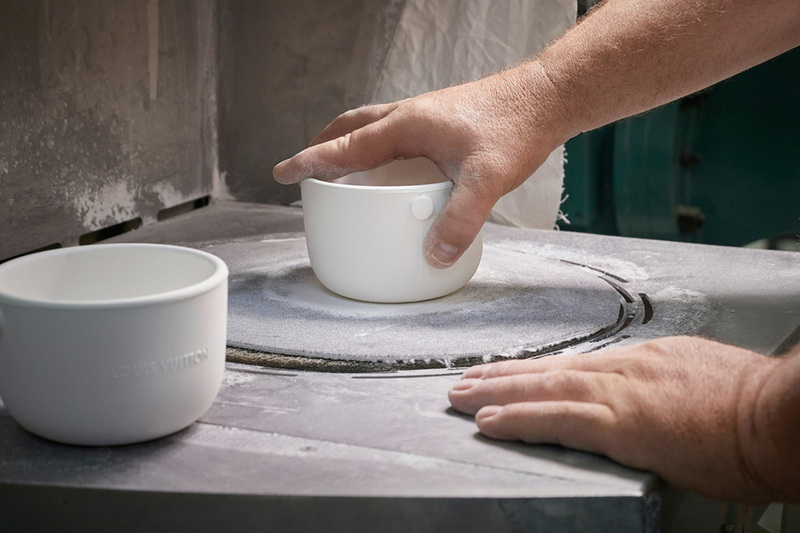 First, the ceramic is developed from rare minerals sourced in England, France and New Zealand and molded to measure by French artisan potters. 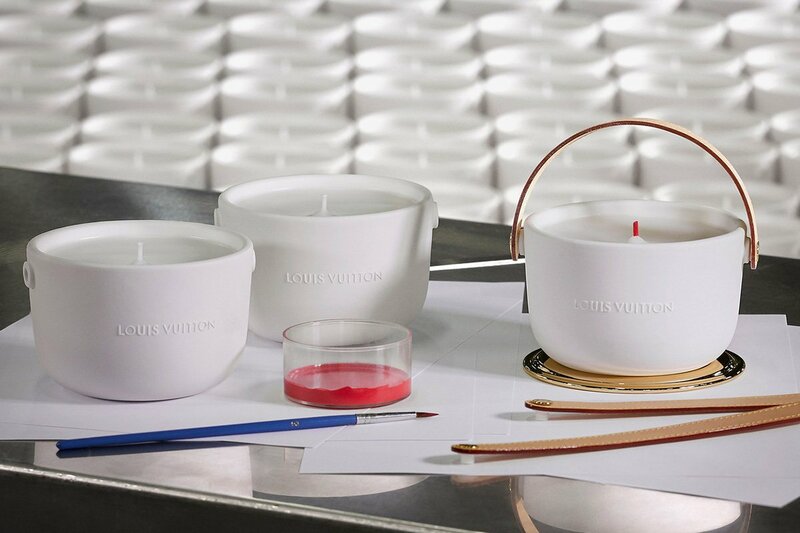 Each candle holder is then stamped with the Louis Vuitton logo. Steady hands perform touch-ups to the pieces using traditional tools for precise edging. 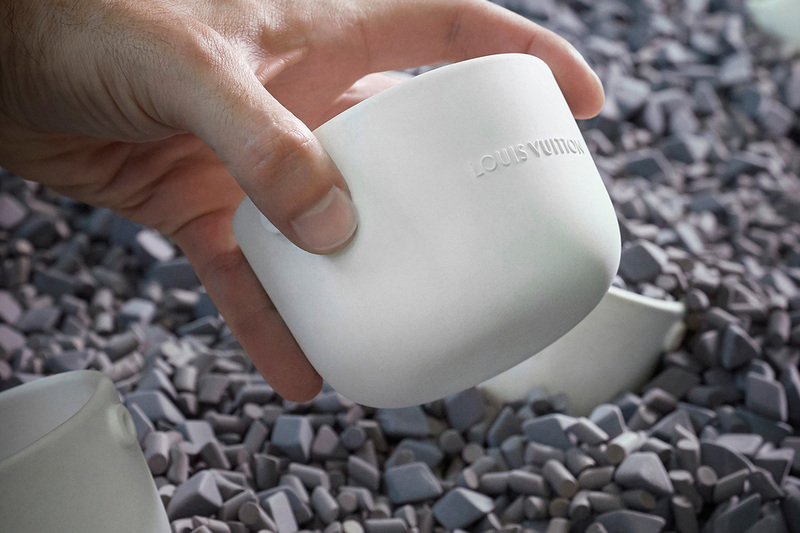 The ceramic pot is made from rare minerals sourced in England, France and New Zealand. 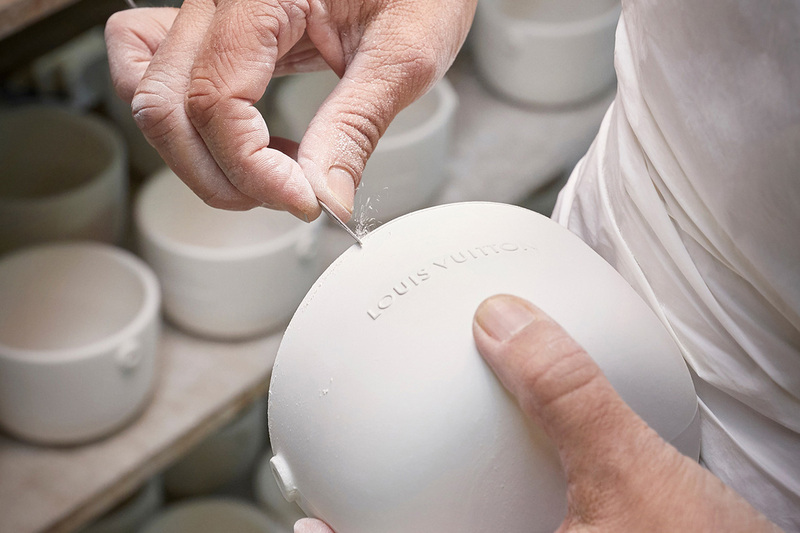 French artisan potters mold the pots to measure and perform steady hand touch-ups with traditional tools. 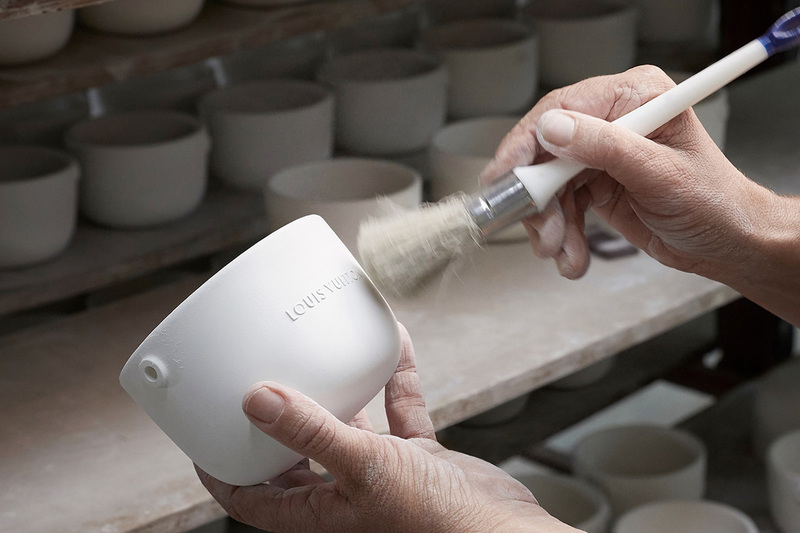 Before firing, the ceramic candleholders are meticulously cleaned and inspected. 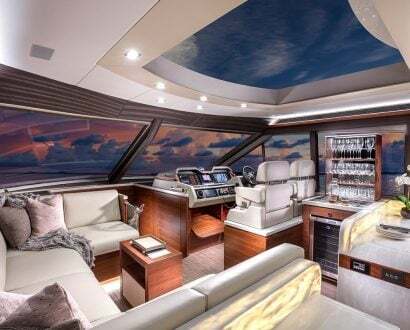 A natural polishing process using a tribo-finishing machine gives a soft, matte finish. 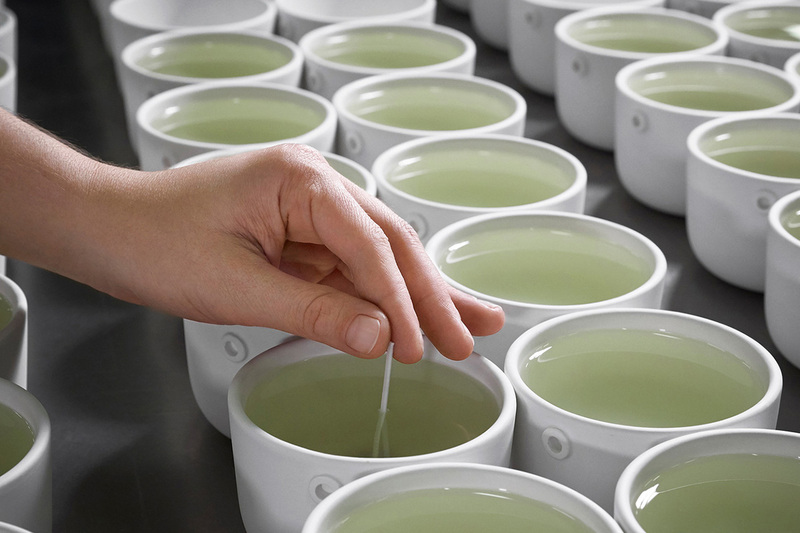 Scented wax made in Grasse, France, is poured into the finished pottery. Wax is topped with precisely measured hand-cut wicks. Hand-painted wicks represent each of four fragrances in red, blue, yellow or green. Made from the same leather used for Louis Vuitton handbags, the straps move so that the candles can be carried, like a purse. 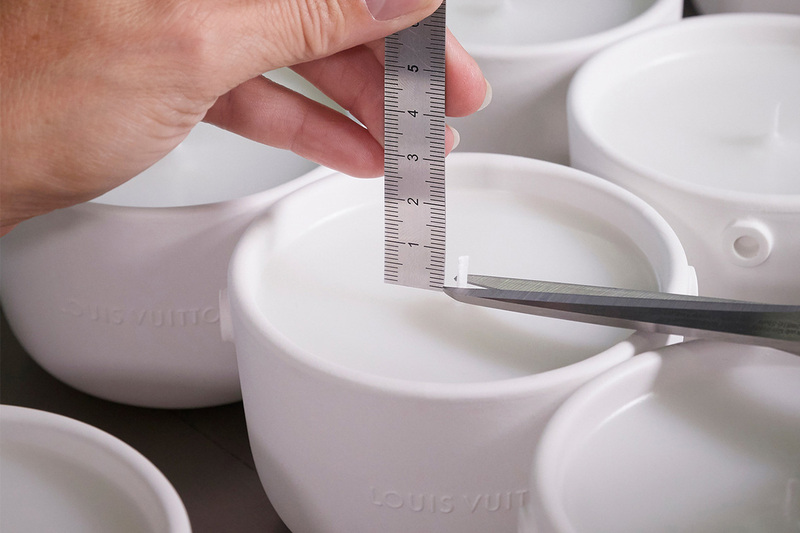 Before firing, the ceramic candleholders are meticulously cleaned and inspected. For a soft, matte finish, this is followed by a natural polishing process using a tribo-finishing machine. 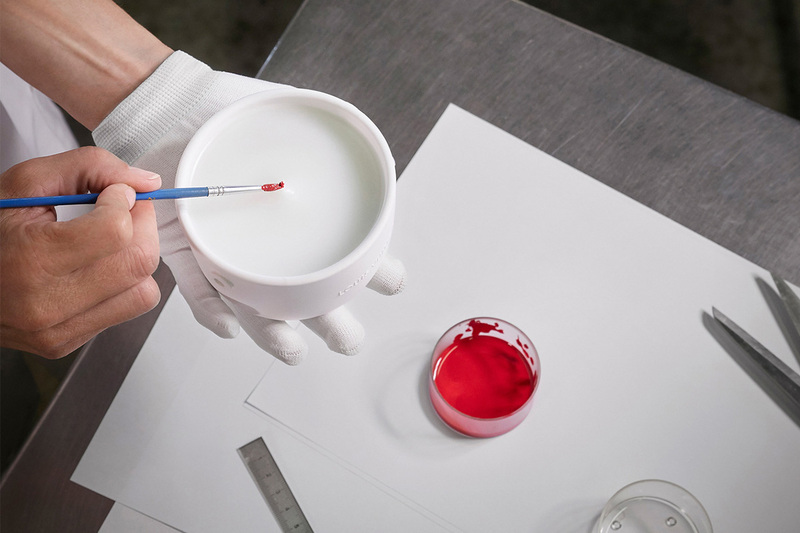 Scented wax made in Grasse is poured into the finished pottery and topped with hand-cut, hand-painted wicks representing each of four fragrances in red, blue, yellow or green. Finally, handcrafted natural leather handles embellished with traditional yellow stitching and red edging are attached. Made from the same leather used for Louis Vuitton handbags, the straps move so that the candles can be carried, like a purse. The elegant candle collection takes you on an olfactory journey through a rose garden in bloom, a patchouli forest, a spiced winter wonderland and an indigo archipelago. 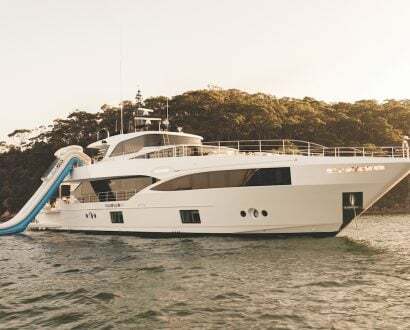 The French house’s master perfumer Jacques Cavallier Belletrud invites you to a dream island destination with Île Blanche. Notes of citronella, orange and verbena blended with hints of jasmine tea and ocean mist evoke a tropical getaway. Dehors Il Neige offers an infusion of spices – the scent of cinnamon, star anise and pine needles transports you to a cozy chalet with frosted windowpanes in the holiday season. Belletrud captures a magical forest with scents of cedarwood and Peruvian balsam with Feuilles d’Or, while L’Air du Jardin offers an ethereal profusion of delicate roses all year round.